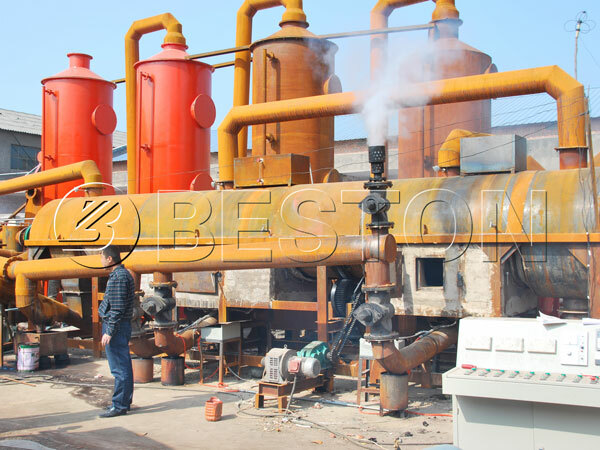 Beston biomass carbonization machine refers to turning biomass waste into charcoal, combustible gas, wood vinegar and tar through a series of reactions, including high temperature pyrolysis, smoke emission, sulfur release and charcoal enrichment. Generally, the carbonizer machine is suitable for processing all kinds of biomass materials, such as wood, rice husk, coconut shell, palm shell, peanut shell, straw, bamboo, sugarcane bagasse or other agriculture and forestry wastes. These raw materials are quite common and easy to be found in our daily life, and the prices are cheap. With low investment, the machine can realize the goal of turning waste into treasure, solving pollution problem as well as creating high profits. 1. The moisture and size of raw materials have specific requirement, which should be less than 20 % and 50mm respectively. 2. The whole carbonization time is about 15 to 20 minutes. 3. During the biomass carbonization process, the temperature of biomass carbonization furnace should keep between 650℃and 780℃, which can increase the carbonization efficiency. 4. Because the temperature of hot charcoal is over 100℃, so it can’t contact with oxygen directly. Thus we use cooling system to reduce the temperature of hot charcoal to 30℃, which is safer for workers. 5. Generally, the charcoal output yield is about 3:1 and 4:1, but it varies according to different raw materials and conditions. 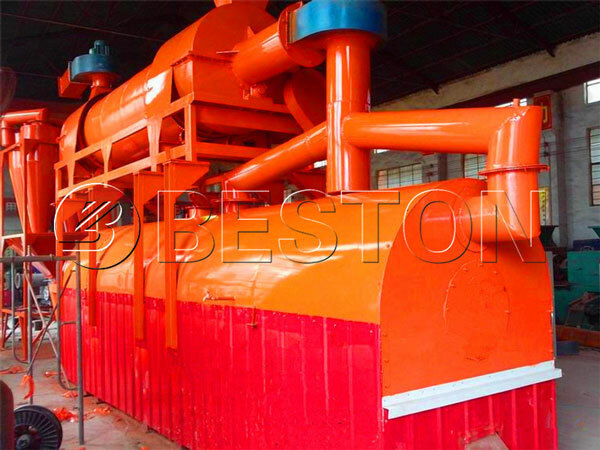 Beston biomass charcoal machine has realized fully continuous working pattern, and it can achieve automatic feeding and discharging, which has largely increased the working efficiency. Moreover, in carbonisation of biomass process, through the high temperature heating, there are some combustible gas generating in the biomass furnace. Due to the high burning value, the combustible gas will be recycled to heat the furnace and dryer devices, which can not only reduce the consumption of traditional fuel, but also can guarantee the enough heat source. In addition to the advanced technology, the introduction of PLC automatic control system makes the whole charcoal carbonization process more intelligent and convenient. Biomass charcoal making machine has low investment but high return. 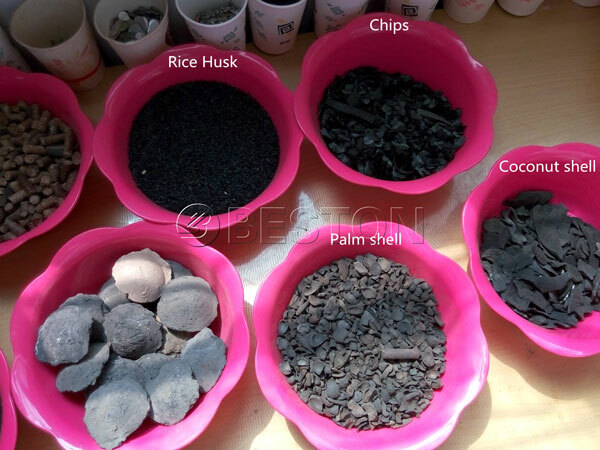 Through advanced carbonization process, the charcoal from biomass has excellent quality and large potential to discover. For example, the high caloric value has decided that the biomass charcoal can be used as fuel in industry and living life. What’s more, because of the high carbon content, the biomass charcoal is also an ideal material to produce activated carbon. 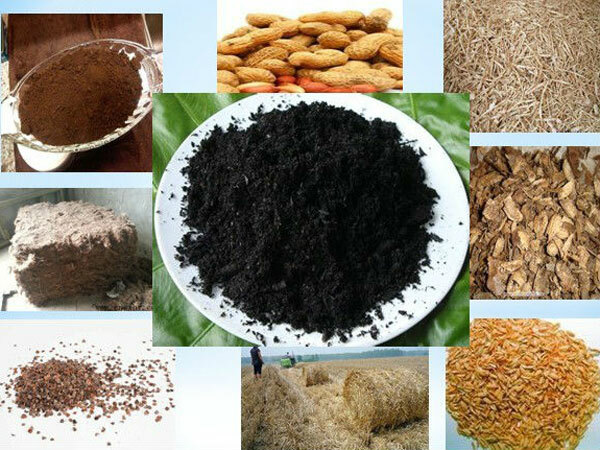 Nowadays, the charcoal from biomass also can be widely used in agriculture as fertilizer. In addition to the charcoal, wood vinegar and tar are also final products with high utilization value and can be used as chemical materials. From all of these introduction, we are sure that the biomass carbonization machine is a project worthy investing. The biomass carbonization furnace has used special material which is corrosion resistance and durable. During the operation process, the machine mainly utilizes the hot air to heat furnace, which avoids the heat source contacting with furnace directly. By this method, we can extend the service time of the biomass carbonization equipment for another 2-3 years. In order to satisfy different customers, we have designed different models of the biomass charcoal machines for sale, including BST-05, BST-10, BST-20 and BST-30. The customers can choose the model according to the budget and number of raw materials. 1. 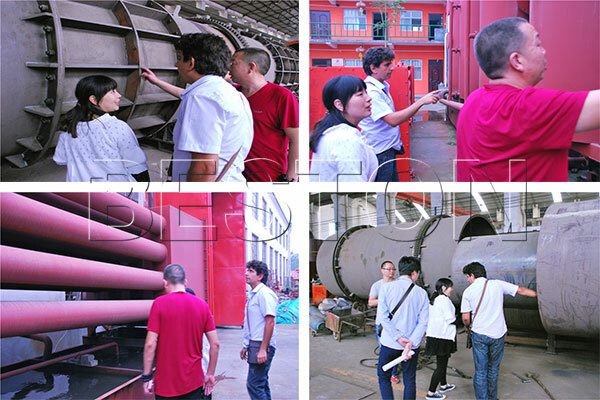 As soon as the ship has arrived at the appointed factory, we will arrange several professional technicians to your site for installation, testing and training the workers for free. 2. We will give regular call visits or spot visits to make sure that there is no problem of the equipment or we will try our best to find the problem timely and solve it immediately. 3. Each part of our biomass charcoal plant has a maintenance period that is at least one year. In recent years, our biomass carbonization machine has been sold to overseas again and again. These successful cases have proved the potential of the carbonization industry. So if you are interested in our biomass carbonizer, you can contact us right now.